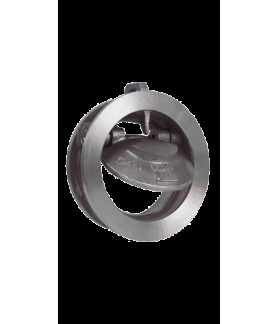 Wafer tilting disc check valve (also available with flanged connection). Cast body and disc. Short face to face. Low pressure drop.